Between client work and the campaigns my ad consultant trainees are running, I’m knee deep in Facebook ad data right now. 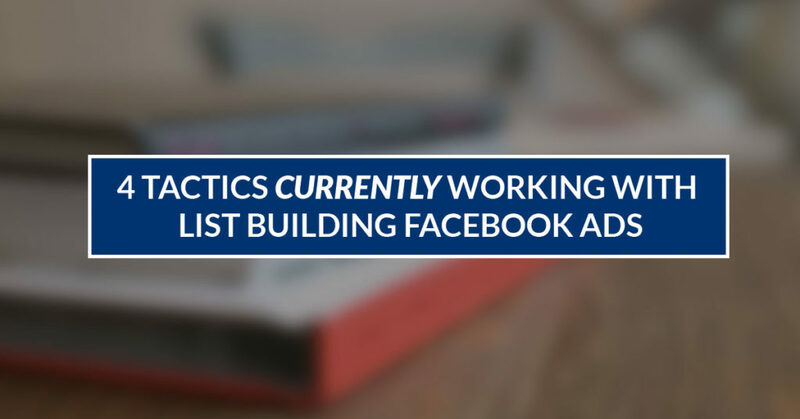 There are some trends that I keep seeing pop up across lots of accounts, plus a few tactics that really work, that I thought everyone running list building ads could benefit from. Approach every campaign expecting it to act like no campaign you’ve ever run before. Ads work when you’re offering something people REALLY want. Test out traffic and conversions as your objective at the start of your campaign. When you’ve found the perfect combo of audience and ads, scale your results by duplicating the ad set. #1: Approach every campaign expecting it to act like no campaign you’ve ever run before. I’ve seen this over and over: people go to turn on ads that were KILLING it a few months or even a year ago, and they’re astounded by the expensive results. And it’s not like this doesn’t happen to the pros either! I’m currently struggling with it myself for one of my clients. Her opt-ins used to get leads for $2 USD at the most, but normally they were closer to $1 or less. What’s changed? That’s an interesting question. I can tell you that in the case of my client for multiple opt-ins, the CPMs are high across the board. That means that it’s costing me more to get her ads shown. These are ads with great click-through rates, solid relevance scores and great conversion rates on the landing page. But each click on the link costs more because of these high CPMs, which means every lead we get costs more as well. These particular ads aren’t working anymore, and we have to find a new strategy for list building. The fact that the same ads were performing extremely well just months ago doesn’t guarantee anything. So be aware of that reality, and use it to manage your expectations. You may not always get such great results, so try to capitalize on them while you can. #2. Ads work when you’re offering something people REALLY want. Warning: this can be a tough pill to swallow, but it’s an important one. If your list building ads aren’t working despite testing tons of audiences and creative, it’s possible that people don’t want what you’re giving away. I’ve been a B2B business – a.k.a. a business that serves other business owners – since 2011. 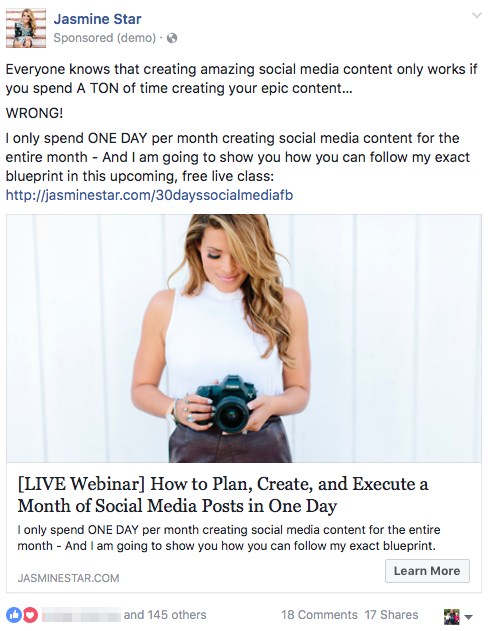 I’ve been running ads to my free guide to Facebook ads since 2014. 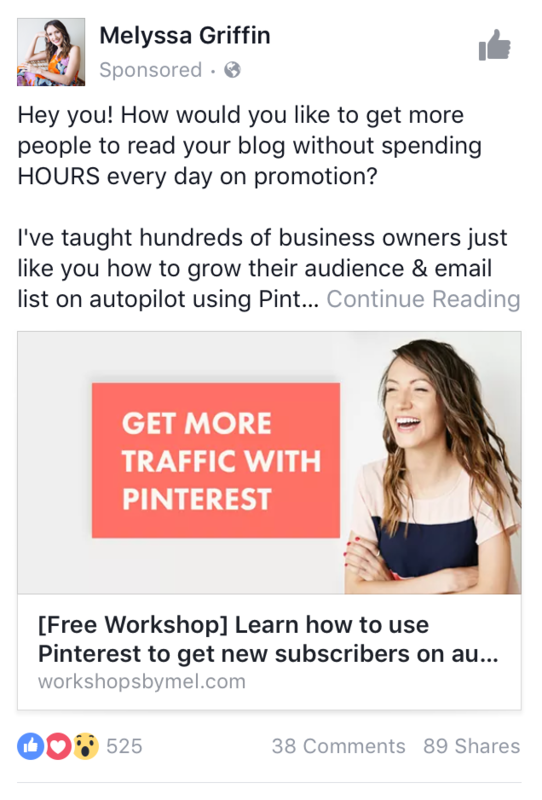 Back in 2014, there weren’t that many free trainings about Facebook ads, so it was easier for me to get people to sign up. The other important thing to note is that there were far fewer online B2B businesses back in 2014. 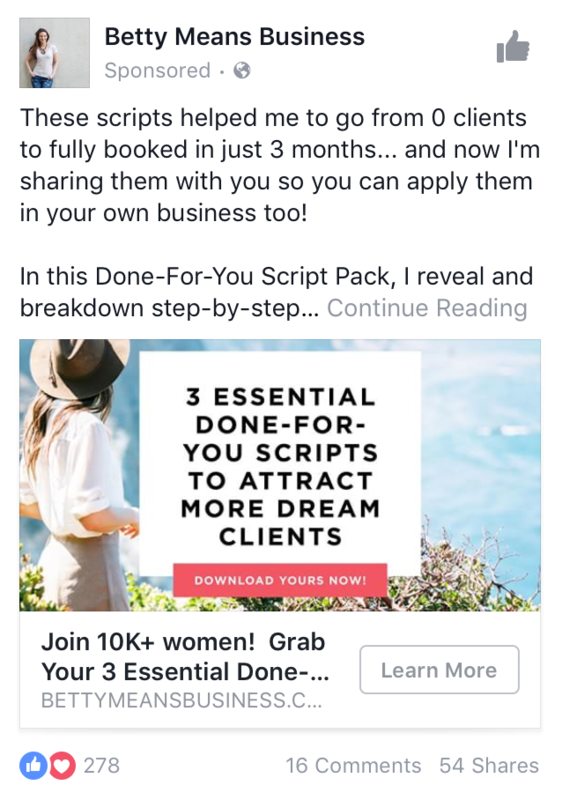 Now you can’t scroll through Facebook (or Instagram) as a business owner without seeing a barrage of ads that are asking for your email address in exchange for some PDF report, video series or webinar. An email address may seem like a small ask. But you and I both know what happens when I sign up for your free content: I get added to your list. I get emails from you that clog up my inbox. I might get pitched your product, service or some affiliate offering. If you’re not in the B2B space, congratulations! The people you’re trying to reach are hopefully less exposed to online marketing tactics than the average online business owner is. That means higher click-through rates, cheaper CPMs and cheaper leads in general. You come up with a free offer that people REALLY want. What does all this mean? NOT that you should create a new opt-in about how to get more traffic to your blog if you’re a web designer. What it means is that you need to be constantly thinking about what your audience WANTS and NEEDS. That age old question, “what are you struggling with?” is important because it can tell you exactly how to solve people’s problems! And when you can solve someone’s problem, even in a small way from a free PDF, they are going to love you. If the answer is no, it’s time for a new list building approach. #3: Test out traffic and conversions as your objective at the start of your campaign. Enough about strategy. Here come the tactics, baby! Yeah. 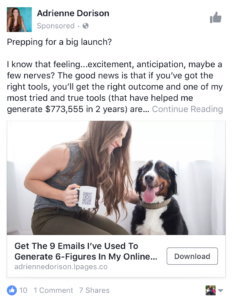 There are a lot of people out there teaching about Facebook ads. And in general, they are brilliant people with really valuable things to teach you. But it doesn’t really matter what we say is the “right” way, because when it comes to Facebook ads, there simply is no “right” way anymore. Everything you do is a test. Create a campaign and choose Conversions for your objective. Then create a NEW campaign and choose Traffic as your objective. Duplicate the ad sets from the Conversions campaign, and select your Traffic campaign for where the duplicated ad sets should go. Go into the NEW ad sets (not the original) and under Optimization for each one, select Link Clicks. When you run this test, you will spend double the amount that you would if you were just running one campaign. But after just 48 hours, you will see a clear winner: one of those campaigns will net you cheaper sign-ups than the other. 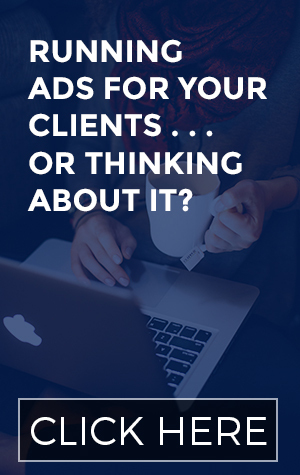 Turn off the campaign with the more expensive conversions. Don’t just listen to the experts: test out your different options and use what works this time around. #4: When you’ve found the perfect combo of audience and ads, scale your results by duplicating the ad set. But a much faster way to do it is to simply duplicate the ad set that’s doing well, change nothing, and push it live! Yes, that means you’ll have two ad sets showing the same ads to the exact same audience, but if your audiences are in the millions, then chances are there won’t be that much overlap. Just make sure to watch the results closely. The new ad set doesn’t always perform as well as the original, so you’ll be the judge about when to turn it off. That’s it! 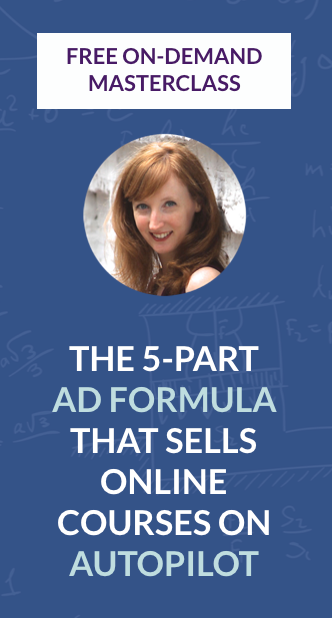 Go forth and improve your list building ads. Leave your questions for me in the comments below and I’ll do my very best to answer them!